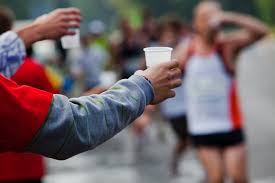 The Council is looking for 15 Boy Scouts, in Class A Uniform, to help hand water to runners at Water Station #2 for this Inaugural Marathon Race on Sunday, November 12, 2017. Please help out if you can! This is a great way for Durham Scouts to be visible in our community! You will earn Service Hours for this event! Info on where to meet is on the Signup Genius. Please sign up by November 01, 2017 to help! Please contact Tony Campione with questions.